When you donate a car to veterans, you become the hero of the heroes of America. 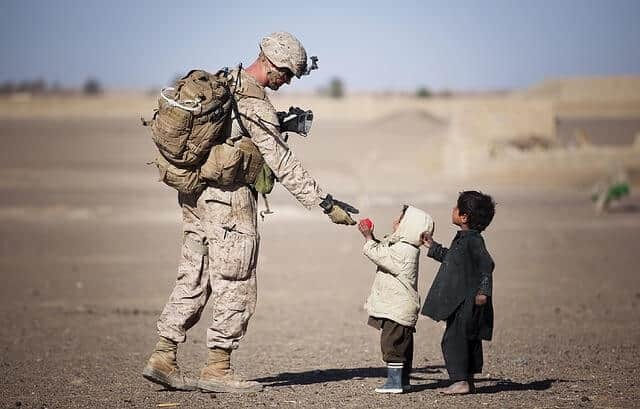 Today, we help you make a positive impact to veterans by featuring the best organizations that currently accept this type of contribution in the United States. Wars mean pain and sacrifice, not only for the soldiers and military personnel that participate in them but also for their beloved ones who live the anguish of not seeing their families together again. Wars bring consequences that are impossible to forget or erase, those who fight for an ideal not always return in the same physical and psychological conditions they had when they entered the wars. But if we look at the bright side, nonprofit organizations such as Healing Heroes, Vietnam Veterans of Americas, Soldiers' Angels, DAV, Vietnam Veterans Memorial Fund, Blinded Veterans Association and Paralyzed Veterans of America, contribute to honor the veterans that risked their lives for America. Blinded Veterans Association, also known as BVA, started in 1945 near the end of the Second World War, with a group of 100 young men. Part of that large group had recently lost their vision and some of them were recovering from injuries at the Avon Old Farms Army Convalescent Hospital near Avon, Connecticut. On March 28, 1945 the group held a meeting to express their support towards their fellow veterans. In 1958, the Congress invited the Blinded Veterans Association to speak and stand up for the veterans who had lost their vision. Since that moment, members of BVA have been working non-stop to accomplish the mission of the organization and its ideals. Educating veterans and the public a program that increases awareness about blinded veterans through personal contact, traditional media and technology, to spread information about the events and the several services that the organization offers in order to help veterans and their families. Annually, BVA participates in forums and international affairs in which the organization demonstrates that blinded veterans can also develop normal and productive lives as civilians. Donors as well as supporters receive information about how to deal with a blinded person and what veterans go through. Scholarships in which spouses, children and even grandchildren of blinded veterans are chosen for the annual Kathern F. Gruber Scholarships and Thomas H. Miller Scholarship to help them when it comes to their educational tuition. A committee chooses the children from their grades and even though these scholarships are valid for one year, the children can re-apply for them. 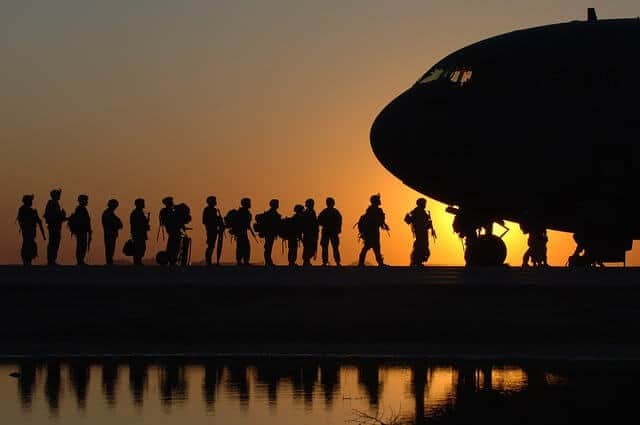 Operation Peer Support is designed to help men and women that returned to the United States blinded or suffering visual impairment, after their services in programs such the Global on Terror and Operation Iraqi Freedom. People reunite in small groups to learn and discuss about treatments, medical assistance, rehabilitation, among other topics. As with the rest of the charities featured in our article, you can contribute to this organization by donating your car to benefit veterans. For more information, the phone number 800-669-7079 is available. Homeless veterans committee which works to put an end to the life conditions of some of the veterans living on the streets. Housing stabilization is not an easy task but the organization works hard to put the veterans in housing programs where they can recover from illness and live peacefully. Unfortunately, many veterans cannot receive help because their voices aren’t heard, and most of the time, once the veterans are referred to Medical centers and housing; they cannot be monitored for a long time. Nevertheless, Vietnam Veterans of America keeps working to give homeless veterans the house they deserve. Economic Opportunities committee which looks after the financial opportunities that can and must be given to veterans, such as opportunities to start small businesses as well as positions in the private and public sector. It is known that for veterans, especially the injured ones, it is very difficult to start a normal life as a civilian. Thus, a way to help them ensure their future is by contributing to this organization. Supporters and donors that want to get involved can visit the website of Vietnam Veterans of America and can also contribute to their veterans car donation program. Additionally, the interested ones can call this charity at 301-585-4000. The New England Center and Home for Veterans (NECHV) is a private resource provider to homeless Veterans. The aim of this non-profit organization is to work to put an end to veterans homelessness. To achieve this goal, NECHV offers a lot of services that help these people reintegrate in society, to find jobs and live independently. This organization, created in 1989, is located at 17 Court Street in Boston and its facility contains 59 affordable apartments, a transitional dormitory for females with 17 beds, and more than 300 emergency and transitional beds. The facility, dedicated to serve Veterans, is open 24 hours a day, 7 days a week. NECHV supports different kinds of programs, but all of them are related with Education, Clinical Support, Employment and Housing. According to data provided by the organization, NECHV is the home of over 350 Veterans each night and it serves over 100,000 resident meals each year. You can become part of this great work by making a donation. As any other organization, contributions are very important to accomplish the proposed goals. Many foundations accept car donations and NECHV is not the exception. If you want to make this type of contribution in an easy way, visit here their website to contribute to veterans with a car donation. You can also call them at 1-877-CARS-4-US (227-7487) Ext. 1438. Soldiers' Angels was founded by Patti Patton-Bader in 2003. This woman decided to help American soldiers when she realized that her oldest son, Staff Sergeant Brando Varn, was one of the few soldiers who received a care package when he was deployed in Iraq. After she put her initiative in motion, more and more requests for help came from soldiers, combat hospitals and the families of service members. Even though a lot of people joined the cause, it was not enough, more had to be done so troops can be supported. Patti, through technology, created a network so all the volunteers can be connected and informed. In a few months Soldiers’ Angels turned into an international community of "Angel" volunteers willing to help service members on duty. In 2003 Soldiers’ Angels was recognized as a nonprofit organization and continues to grow. Soldiers’ Angels offers a variety of programs aimed to help service members and veterans. Veterans needing help must fill an application form for the service they need to be provided. Patient visits in which comfort items such as blankets, pillows, hygiene kits, among other are distributed. Bi-weekly or monthly luncheons or dinners are organized and scheduled for veterans and offer them tasty meals and friendly volunteer interaction. Box lunches are given by VA medical staff to homeless or low income veterans who cannot afford all of their meals. Soldiers’ Angels mission is “May No Soldier Go Unloved” and is constantly looking for new ways to support service members and veterans. Thus, the organization needs donations to continue working. The donors can contribute by PayPal or donate by using their credit card. Cars and other goods and services as well as volunteers are welcome. For more information about how to help, visit www.soldiersangels.org to donate your car to veterans through this organization and more, or call at 210- 629-0020. AMVETS National Service Foundation is a non-profit organization that contributes to veterans who have served the country through various service programs. The main goal of this foundation is to assist returning veterans and help them go back to their civilian lives. The organization was created in 1948 to assist returning veterans from World War II. Nowadays, AMVETS National Service Foundation supports a wide variety of programs, such as the National Service Officer, Thrift Stores, Scholarships, Americanism, among many others. As with the rest of the organizations featured in our article, you can contribute to veterans with a car donation through this organization. To complete this type of donation, you can contribute online through this link. For more information, contact the AMVETS National Service Foundation call at 1-877-999-8322. The Purple Heart Foundation is a non-profit organization dedicated to help veterans return to their civilian lives. The foundation achieves its goal by raising money and resources to support the programs and services of the Military Order of the Purple Heart, the congressionally-chartered veterans’ organization. This organization was founded in 1957 with the aim of providing counsel, support and advocacy to those warriors that sacrifice to help the country, we considered it one of the most reputable car donation charities. When veterans return home, they have to deal with a variety of emotional, medical and financial challenges. For that reason, the Purple Heart Foundation try to help them make a smooth transition from the battlefield to home. The work of this organization is to support different programs that can help all veterans to and prosper, and its goal is to ensure these people receive the benefits and assistance they deserve. Some of these programs have to do with education opportunities, disability compensation, scholarships, employment training, pensions, hospitalization and rehabilitation benefits, among other assistance. Contributions are highly important for every single foundation, especially for fundraising. The Purple Heart Foundation is open to any kind of donations including car donations. The organization has its own program to make a vehicle donation for veterans and the process for doing it is fast, easy, free and tax-deductible. So, if you are interested in making this kind of contribution, you just need to go purpleheartcars.org/donate and follow three easy steps. DAV is a nonprofit organization devoted to providing support to veterans who defended US in different wars and their families. These organization servers approximately 700,000 for veterans that must attend medical appointments and receives more than 300,000 benefit claims every year. In 2015 DAV obtained $4 billion in the form of retroactive benefits for veterans, their families and survivors. Disabled American Veterans not only offers financial help, this organization also connects veterans with job offers and provides resources that make possible they have an opportunity to develop themselves as civilians. Mobile service office which travels to small towns and communities across the US to advise and assist veterans about the services and programs this organization offers. Information seminars which educate veterans and their families about specific veterans’ services and needs. The seminars are performed by trained National Service Officers who can counsel and analyze claims. All of the services are free and veterans do not have to be registered to participate in this program. Homeless Veterans Initiative which promote housing for homeless veterans and help them become productive. The goal of this program is to work hand-to-hand with Federal and county state and local governments to put in motion assistance programs for veterans. Disaster relief which help veterans, services members and surviving spouses during times of need after natural disasters by supplying financial aid, food, clothing and shelter and kits containing backpacks, blankets and items of hygiene. To get involved, visit the donation section of their website, and for more information about car donation, please visit this link. All of these foundations make a great work that should be supported by us. There are people in need everywhere and believe it or not, even a small contribution can make a difference between living and dying for some people.